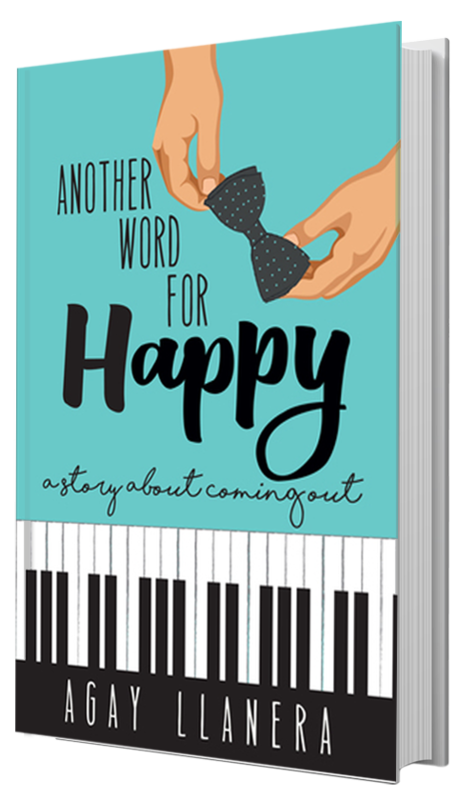 First of all, I am grateful because I was able to read and review Another Word For Happy by Agay Llanera and I am one-hundred percent sure that this is my first ever book from her. I could say that I am a satisfied reader. 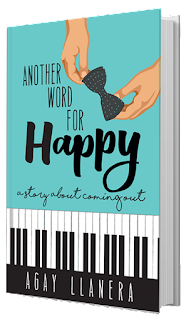 Another Word For Happy is a thin book with an entertaining story that is simple, direct and beautiful in all possible way. It is a story of acceptance, self love and friendship. It has a little love story on the side but the story is focused on Caleb. He's gay, a musician and he is afraid to show his true self because the society might not accept him. He's not confident to tell his own mother or his friend Ginny about his little secret because they might not understand his feeling but with the help of Franco, Caleb was able to come out of his little world. Reading this book made me realize how closed minded some people are because of the LGBTQ community. It was annoying in someway because at the end of the day these people who are being judged by the society is still a person, right? I just hope that one day people will change their minds. Anyway back to my review, I had a great time with every pages of it, each turn is beautiful. My favorite part is when Caleb plays piano. I wish I could listen to him playing those songs. What hit me on this story is when Franco admitted his real feelings for Caleb. I was like "darn it! why?!" But I am glad to know that this book ended well. I have one question though, will there be a sequel for this? I feel like there should be more Caleb story. I would love to read more about him and what happened to him after everything. I have this feeling that Caleb will be a great pianist as well. Agay is a freelance writer for TV and print. In her spare time, she enjoys writing Romance, New Adult, and Young Adult novellas.